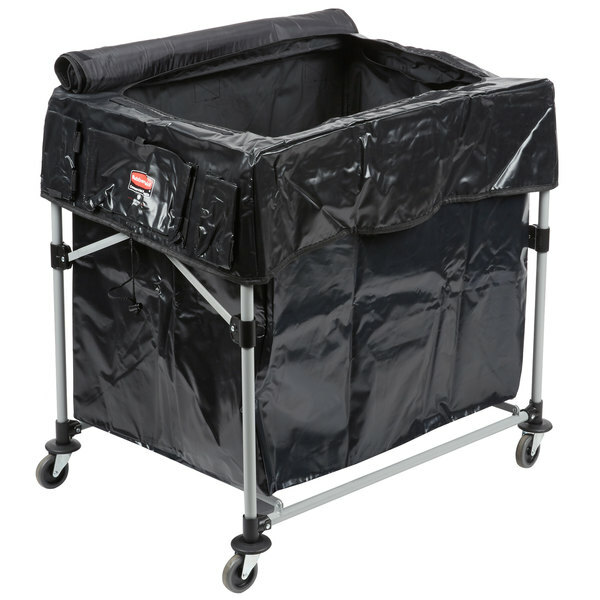 The X-Carts from Rubbermaid are the industry's most durable collapsible basket truck system. 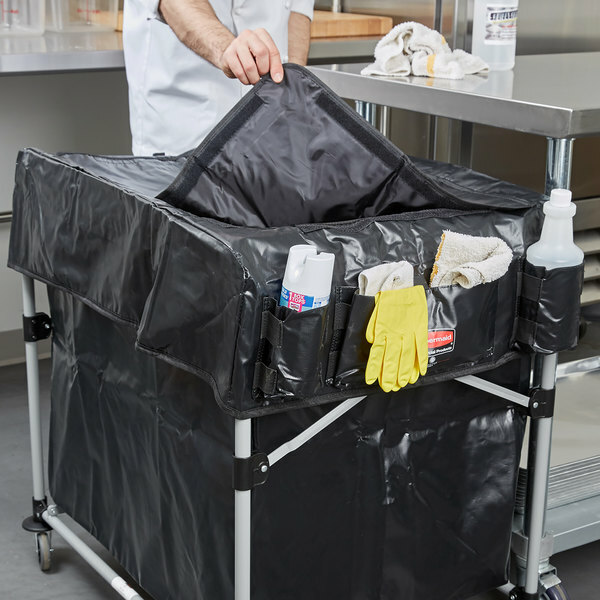 Each cart features a compact, collapsible frame that reduces its width by 75% to improve organization of storage areas and increase your staff's productivity. Multiple models and sizes are available. 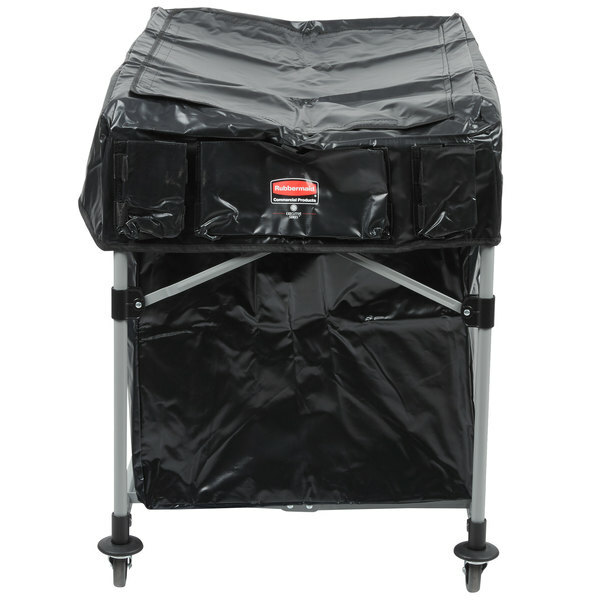 First, the 4 bushel, or 150 liter, size features a compact and lightweight design perfect for smaller jobs and applications. 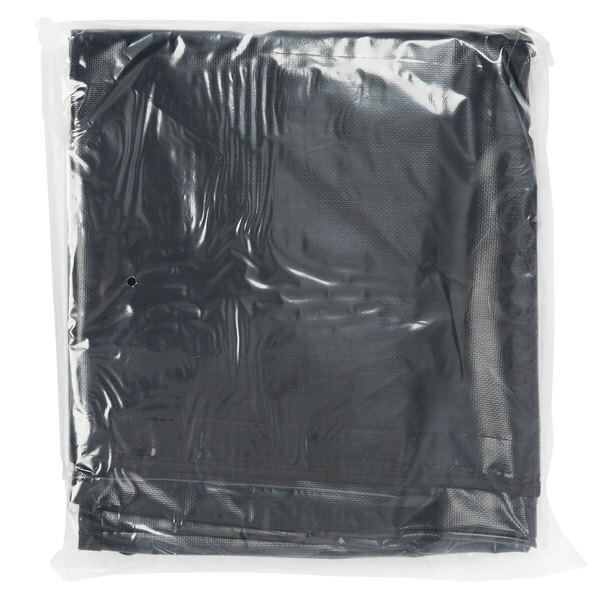 Step up to the 8 bushels, 300 liters, for larger, bulky loads such as turndown service. 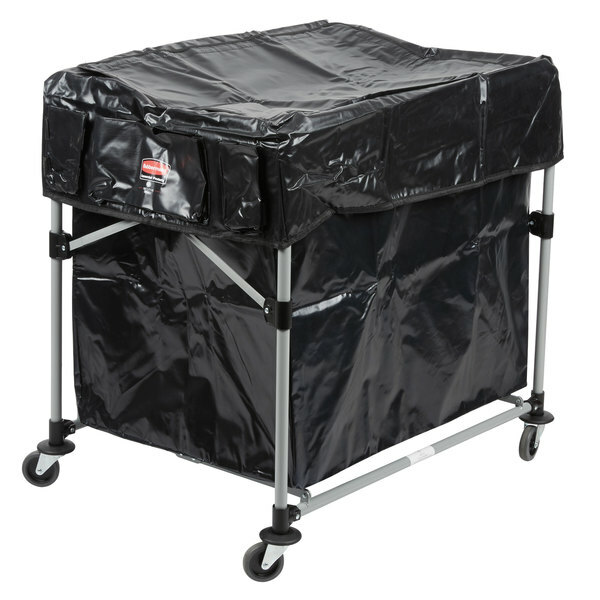 Divide and sort with ease using the multi-stream cart that has two 4 bushel, 150 liter, compartments. 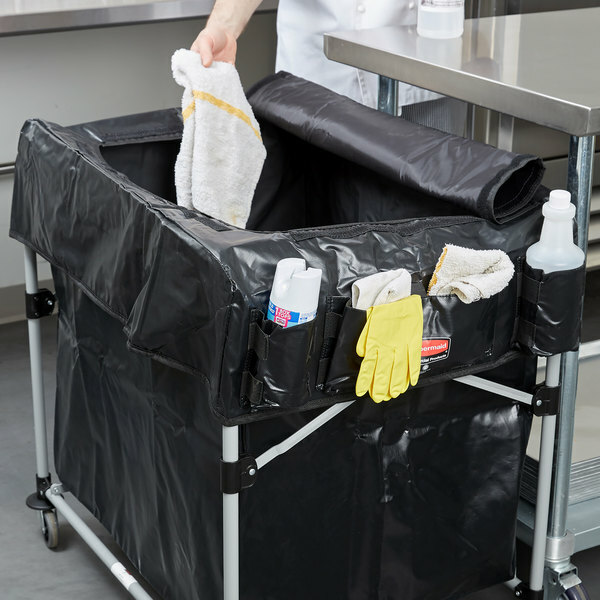 Each cart is designed to blend into the environment, conceal supplies, and reduce the noise of your cleaning staff. 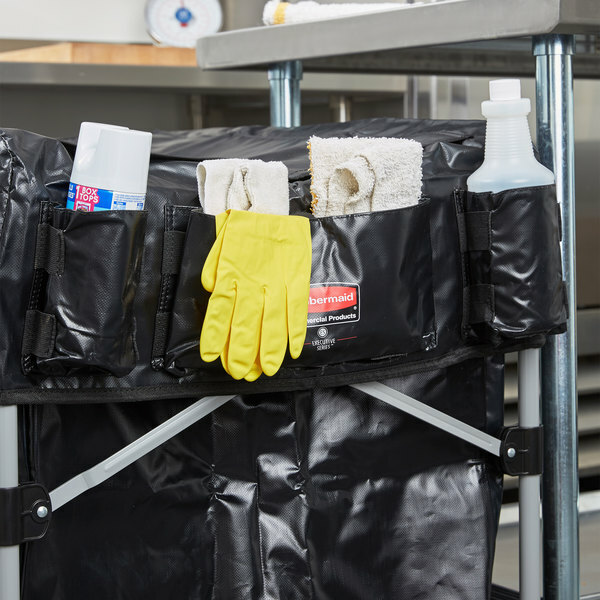 Empower your team, to transport supplies discreetly, refresh guest rooms quickly, and sort supplies with ease. 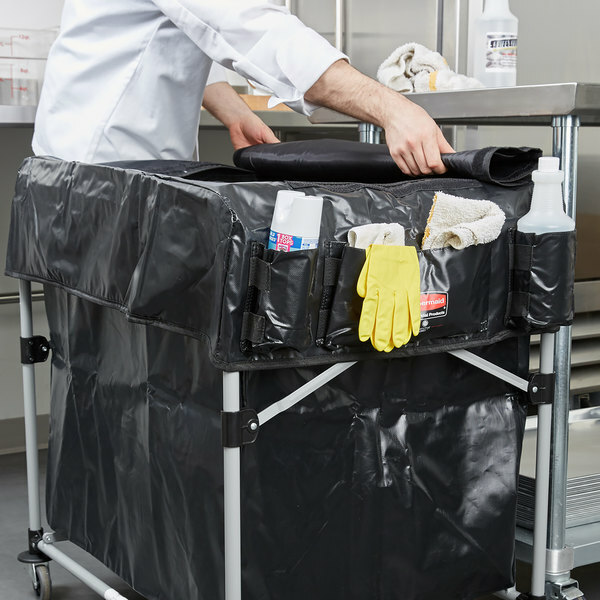 Efficiently maintain your property or business, while staying organized, by upgrading to the collapsible X-Cart. 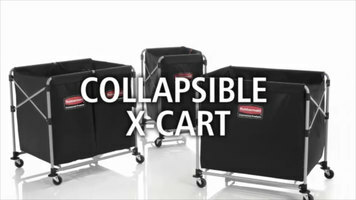 The collapsible X-Cart from Rubbermaid is the most durable collapsible basket truck system on the market. 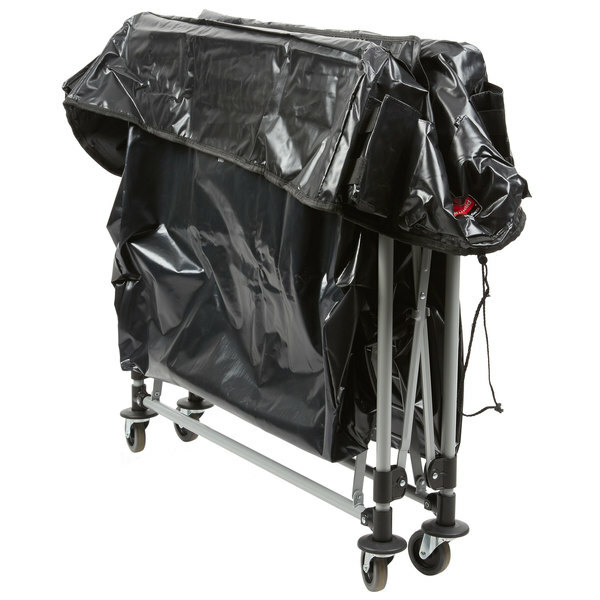 Watch how this cart not only handles the largest loads but also collapses when not in use to keep storage areas tidy. 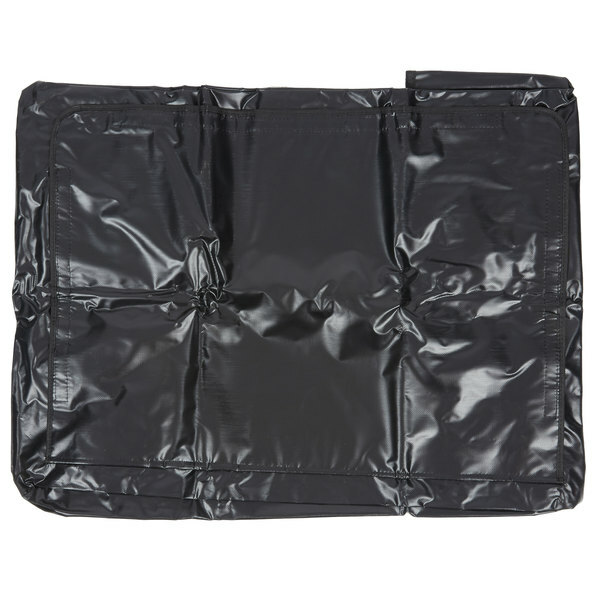 Keep the contents of your 8 bushel collapsible X-Cart clean and dry during storage and transportation with this Rubbermaid 1889864 large black cover. 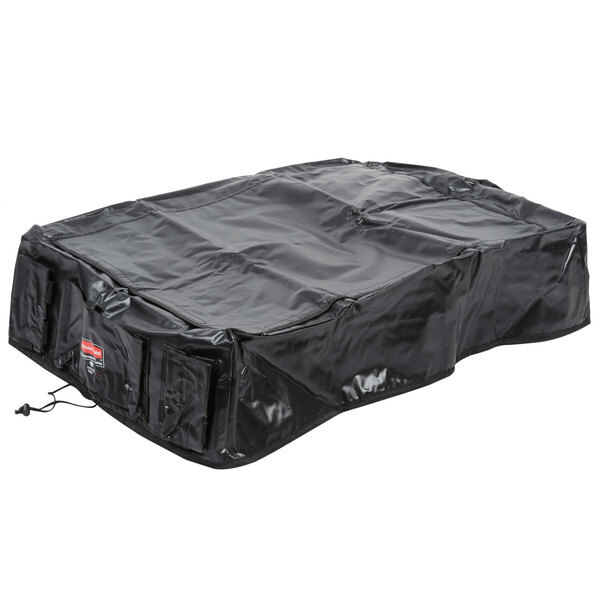 This cover features six spacious storage pockets to hold extra equipment and a convenient lid that allows access to the contents of the cart without having to remove the cover. 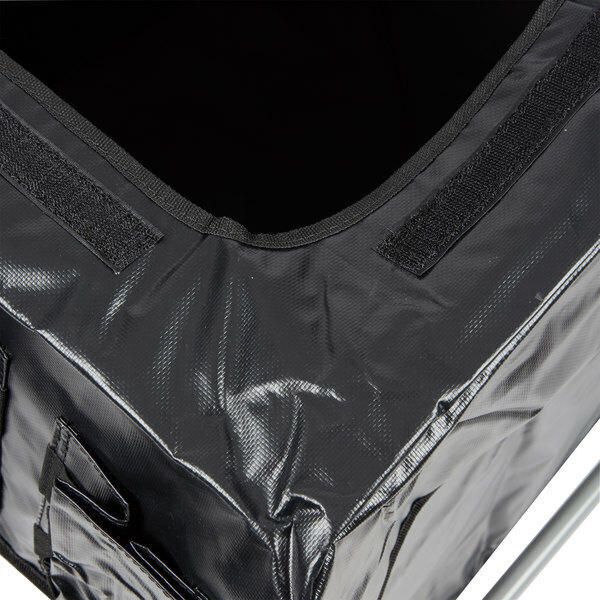 The lid stays secure with a strong Velcro® trim, while the cover itself attaches tightly to the X-Cart frame with a drawstring. 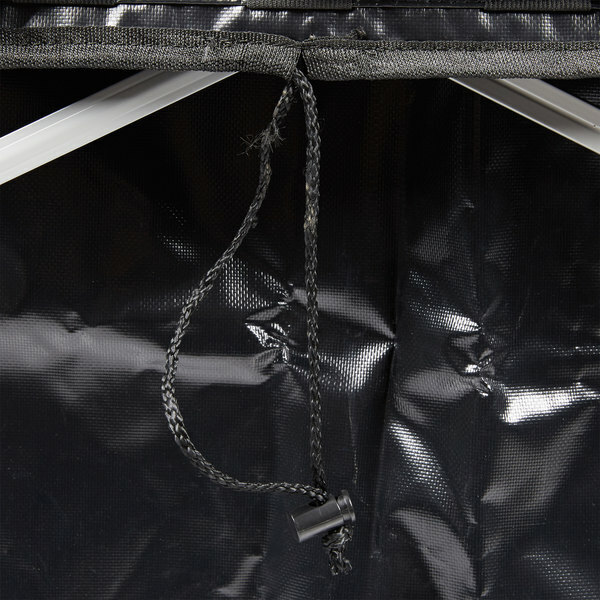 The X-Cart can still collapse with the cover in place.